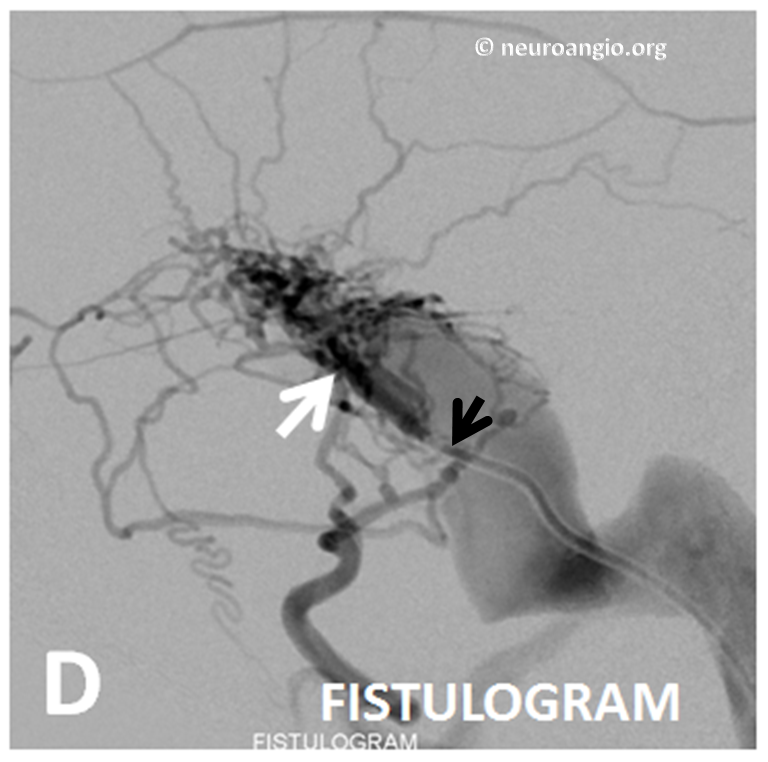 A 5F vert (black arrow) is placed transvenously into the common channel (white arrow) and an absolutely beautiful fistulogram is obtained, retrogradely opacifying the entire arterial network feeding the fistula. 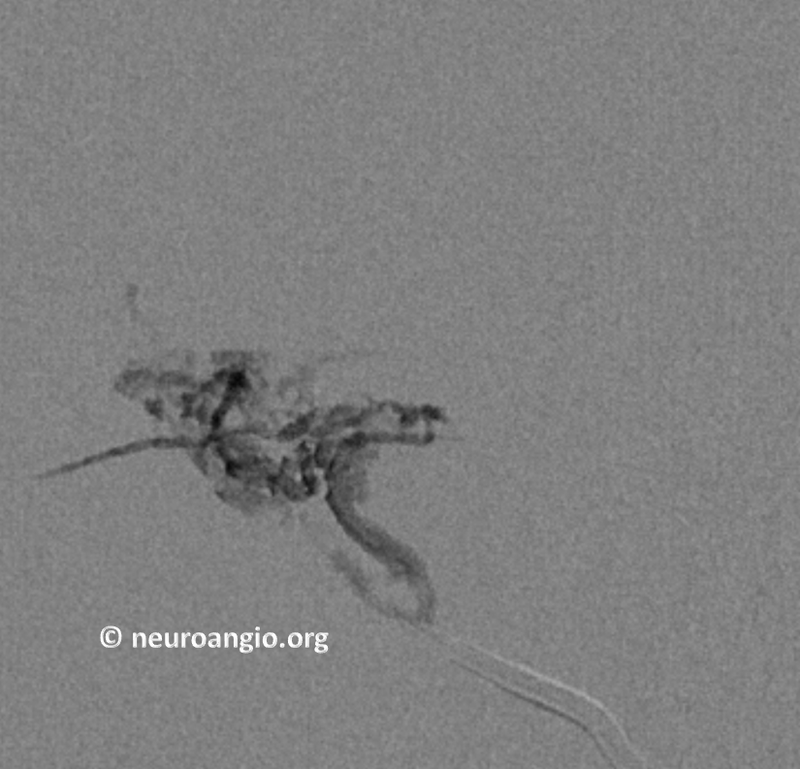 What can be better than this to show fistula anatomy? 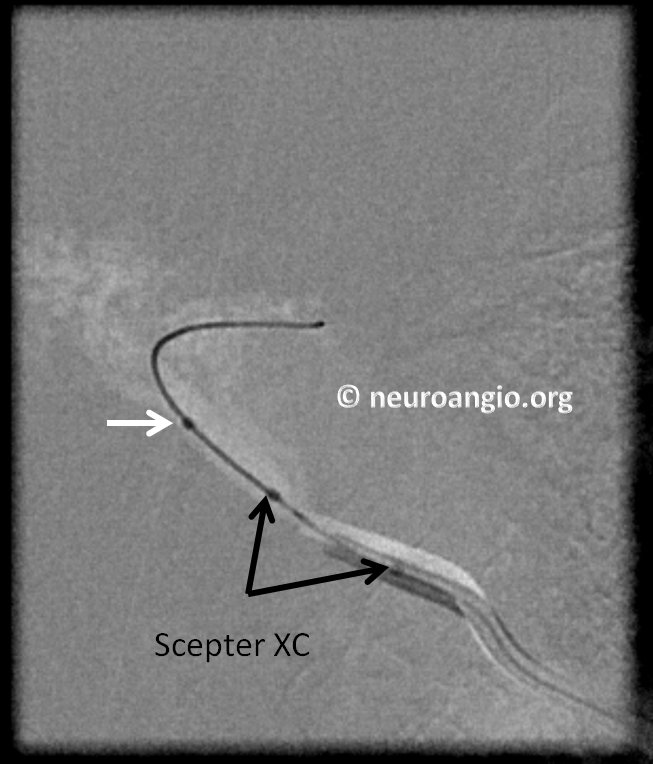 Injection of ECA with scepter in place shows fistula occlusion, confirming that this single channel is the common vessel upon which all fistula supply converges.